A subsidiary of China’s first web-only insurer, ZhongAn Insurance, says it has put the data of 760,000 diamonds on a blockchain. ZhongAn Technology, which is publicly listed in Hong Kong, announced the launch of its gem-tracking blockchain application on Tuesday, saying that the project was created to achieve a higher level of traceability in the luxury industry. The product is being marketed through Diamsledger, a new subsidiary jointly created by ZhongAn and online diamond trading firm Ediams. Built on top of ZhongAn’s proprietary blockchain network, and hosted on its Anlink cloud platform, the application is deployed across selected parties along the diamond supply chain, including diamond dealers, processing firms, customs, logistic companies and exchange centers. 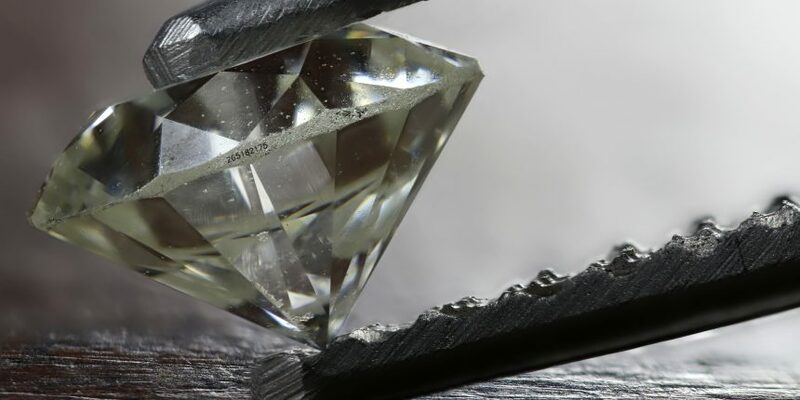 The end of goal, according to the firm’s announcement, is to provide a transparent ledger on a decentralized network that tracks every piece of information about a diamond, from production to customer. The system also works in parallel with traditional industry certificates such as GIA, NGTC and HRD, ZhongAn says, meaning purchasers can type in a diamond’s certificate number to view all its information via a portal on Diamsledger. Zhang Yongwen, CEO of Diamsledger said that currently “information of 760,000 diamonds has been uploaded to Anlink as of mid-July.” Zhang went on to state that the application provides a double assurance together with traditional certificates, which mainly record diamonds’ physical information such as color and place of origin. The launch follows previous initiatives from ZhongAn including a blockchain-based application to track and record the food supply chain, as well as a patent filing for a blockchain solution designed to protect media from piracy.